The Five Year Project: Do You Have a Goal? Step 1: Set yourself a crazy, important, or otherwise ambitious goal (or goals). Step 2: Try to do something towards achieving that goal every month. Step 3: Post an update of your progress on your blog on the last Friday of the month. Remember to use the graphic above so we can easily spot it. Step 4: Link to your Update Day post in the comments of the relevant month's post on the GotGoals? Blog. Step 5: Check in with other participants so you can advise and/or encourage them. Today my goal is to get through about 100 pages of editorial edits. Yay! Publication is on the horizon. Every goal I have, other than keeping my house in order, kids fed, and laundry done revolves around that for the next 5 years. It's going to be a busy but fun time. Is there a badge for this? I'm signed up, but I'm bound to forget all about it without a badge on my blog to remind me! I think it's awesome that you put a number on it and you are working toward your goals. Good luck Misha--I know you can do it! Such a great idea, I'm in! Every goal should be voiced to make it real! So true. Thanks for joining! Well done! I think setting a goal is one step closer to making it happen. I believe in you! Thinking about my goal before I sign up. I just found out about the blog hop today and I joined. My goal is to finish a series of poems I started yesterday, the first time in over 20 years of being a published poet that I ever did poems in a series rather than as stand-alone poems. It's a great idea for folks to set a goal and make it public as a way of making a full commitment. Thanks! It's kind of awesome to see we're up to 20 bloggers now. I think we started with like 5! Love this idea, I'm going to join and see where my goals take me. 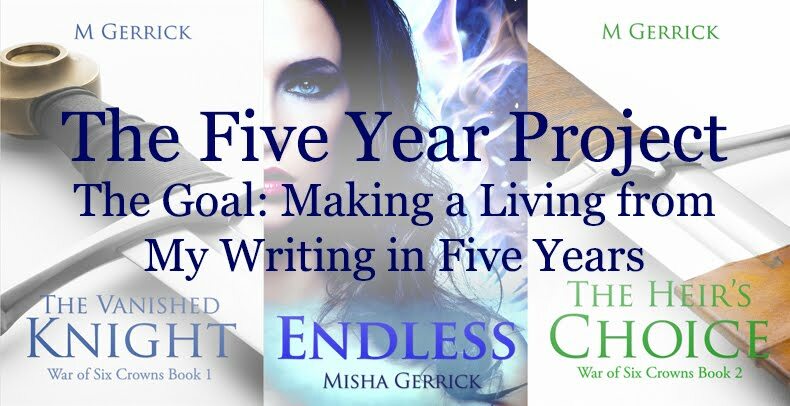 I did not make my goal of finishing book 3 by 2014 - so now it's to finish book 3 in 2014 and the first draft of the prequel. I'll update my site too, sorry - sometimes there is just too much going on! I added in a month late - hope that's ok. I'll post for sure at the end of February. This is a wonderful thing, and I'm glad it's still active, because I've just signed up! This is where it would pay me to read better. I thought this was a once a week thing, which I would totally fail. But once a month? That is just perfect and what I need to keep myself on task. Giving it a try....loving once a month! Back in the game and achieving those goals! See you on the 26th! I added another goal. Finish Night Prowler, please remove #17 Finish Murder & Obsession. That's done - now it's time for a new book! Hi Misha! Lori here from The Rattling Bones to add a new goal that will actually not begin until July 1st, but since I spotted this now, I thought I would go ahead and add it. Hopefully this will give me the added push to see this through. I hope to complete my goal of 200 new poems by the year's end and be ready to send out my work for publication by January. I think this is a great idea that will hopefully keep me on track, having somewhere to check into each week. Thanks for setting this up! Accountability is a great idea. Thanks for this. I love the idea. Just joined in and posted my first report. Tomorrow, I'm going to hop around and see what the others are doing, how they keep up with their goals. I would like to rededicate myself to this. I love seeing how well everyone is doing. Could you please update my link to persephoneknits.com? I moved my blog this month to Wordpress. Thank you! BethFred domain name expired on 1/9/2017 and is pending renewal or deletion. Can you let her know? Gosh, I just noticed how far back these comments go. I hope the hop is still happening. Either way I'm posting. Great idea. Thanks for commenting! I love to read what you think. Feel free to ignore the check-box saying "Prove you're not a robot." My word verification is off, but I moderate comments to posts older than two weeks.